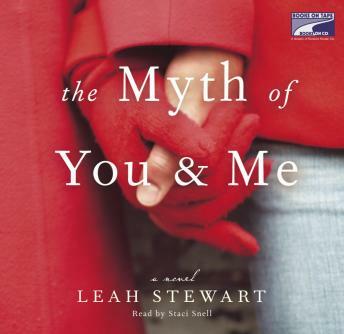 Searingly honest, beautiful, and full of fragile urgency, The Myth of You and Me is a celebration and portrait of a friendship that will appeal to anyone who still feels the absence of that first true friend. When Cameron was fifteen, Sonia was her best friend—no one could come between them. Now Cameron is a twenty-nine-year-old research assistant with no meaningful ties to anyone except her aging boss, noted historian Oliver Doucet. When an unexpected letter arrives from Sonia ten years after the incident that ended their friendship, Cameron doesn’t reply, despite Oliver’s urging. But then he passes away, and Cameron discovers that he has left her with one final task: to track down Sonia and hand-deliver a mysterious package to her. Now without a job, a home, and a purpose, Cameron decides to honor his request, setting off on the road to find this stranger who was once her inseparable other half. The Myth of You and Me, the story of Cameron and Sonia’s friendship—as intense as any love affair—and its dramatic demise, captures the universal sense of loss and nostalgia that often lingers after the end of an important relationship.